Located in the Atlantic Ocean off the eastern coast of the United States, the British territory of Bermuda is renowned for its pristine beaches, tropical climate, and extravagant beauty. But Bermuda is more than just a scenic hot-spot for travel and tourism – it’s also one of the world’s top tax havens. Bermuda may be popular among expatriates, investors, and entrepreneurs, but its residents are also subject to vigilant scrutiny by the Internal Revenue Service, which works together with the Department of Justice to prosecute acts of willful tax evasion and other tax crimes. If you’re a US expat living in Bermuda, or if you’re planning on moving from the US to Bermuda in the future, you need to make sure you are compliant with US tax laws and have satisfied all of your reporting requirements. Failure to comply with federal tax regulations can result in the imposition of substantial civil penalties, which can cost thousands upon thousands of dollars – even if you made an innocent mistake. Whether you’re concerned about your record of tax compliance, want to get your taxes in order before your move to Bermuda, or simply have questions about credits and deductions you may be eligible to claim, Ted Kleinman CPA can help. Ted has over three decades of experience helping clients in Bermuda and around the world resolve complex international tax matters, and is ready to negotiate with the IRS on your behalf. To schedule a free, confidential consultation with Ted, call US Tax Help today at (541) 923-0903. 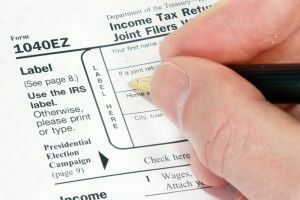 Do Expats Have to File a US Income Tax Return? US citizens abroad are required to report worldwide income to the IRS. In other words, expats are required to file a US individual income tax return. 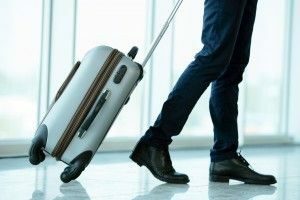 However, the rules for expats are a little different than the rules for taxpayers who are filing from within the United States. For instance, taxpayers abroad should attach several additional forms to their Form 1040, namely Form 1116 (Foreign Tax Credit) and Form 2555 (Foreign Earned Income). These forms allow taxpayers in Bermuda to avoid double taxation. It may be possible to exclude a limited amount of Bermuda earnings from your income, or to deduct or exclude housing amounts within certain limits. The income tax deadlines for expatriates are also different. Instead of being required to file on April 15, expatriates – and members of the US Armed Forces who were serving overseas on April 15 – qualify for an automatic two-month time extension, pushing the deadline back to June 15. If you cannot file in time for June 15, you can request an additional extension by filing Form 4868 (Application for Automatic Extension of Time to File US Individual Income Tax Return), which will push the deadline back until October 15. Bear in mind that, even if you are granted a time extension, you will still be liable for any unpaid tax from the original due date. In 2010, Congress enacted a law known as FATCA, or the Foreign Account Tax Compliance Act. FATCA was designed to crack down on taxpayers who attempt to conceal income and assets in offshore bank accounts held with foreign financial institutions (FFIs). FATCA is bolstered in part by an IRS reporting requirement known as FBAR (Report of Foreign Bank and Financial Accounts). While FATCA and FBAR are designed to combat willful tax evasion, they have also proven detrimental to many expatriates, in Bermuda and across the globe. In many instances, expatriates are unaware their bank accounts are subject to special reporting requirements until it is already too late, and they have received notice from the IRS warning of an investigation. Therefore, it is prudent for US expatriates to familiarize themselves with the FBAR filing requirement. You are required to file an FBAR if you have signature authority over, or financial interest in, one or more foreign financial accounts whose aggregate value exceeded $10,000, however briefly, at any time during the year to be reported. Note this includes bank accounts, trusts, mutual funds, and brokerage accounts. If you are married, you may be able to file a joint FBAR with your spouse, depending on your financial circumstances. If you fail to file an FBAR, prepare to face severe consequences – even for an accidental error. Non-willful or negligent violations are subject to a maximum civil penalty of $10,000 per violation, while willful or deliberate violations are subject to a maximum civil penalty of $100,000 per violation or 50% of the balance in the account, whichever number is greater. More alarmingly, willful violations can also lead to criminal prosecution by the DOJ. A conviction or guilty plea may result in a maximum sentence of five years in prison, and/or the imposition of a $250,000 fine. If you live in Bermuda and have any questions or concerns about your record of compliance with federal tax regulations, now is the time to address them. The longer you wait to resolve your tax matter, the larger the problem will grow, and the fewer opportunities you will have to correct the issue. By being proactive and seeking help right away, you can keep more options open while minimizing your risk of facing serious penalties. Even if you’re confident about your compliance with the tax code, you could still be missing out on credits and deductions which you may qualify to claim. To learn more about your tax responsibilities in a free and private consultation, call US Tax Help at (541) 923-0903 today. CPA Ted Kleinman assists expatriates throughout Bermuda, including St. George’s and Hamilton.